Choice Hotels International, Inc. issued the following announcement on July 9. 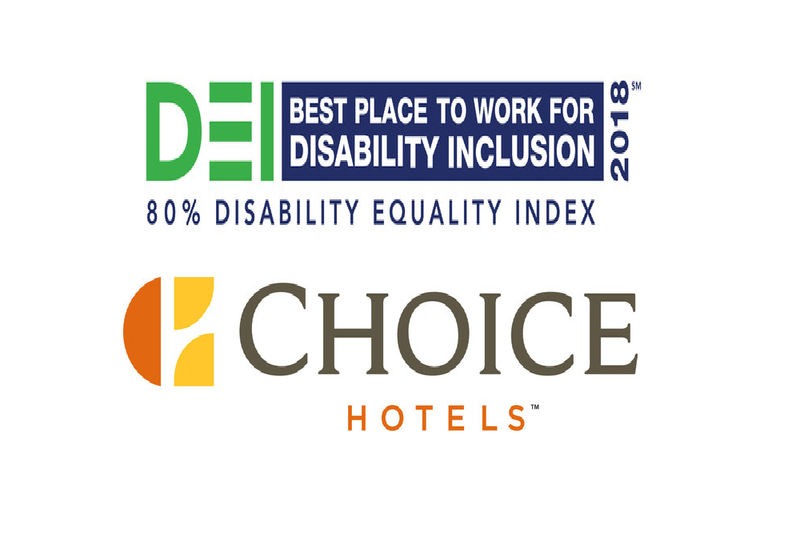 Choice Hotels International, Inc. (NYSE: CHH), one of the world's largest hotel companies, earned the recognition of "Best Places to Work for People with Disabilities" by receiving a top score in the 2018 Disability Equality Index. The accolade was determined by the United States Business Leadership Network (USBLN) and American Association of People with Disabilities (AAPD). The Disability Equality Index (DEI) is a national, annual benchmarking survey that scores companies on a 100-point scale for their disability inclusion policies and practices. Recognition is reserved for businesses that have scored 80 or above on the DEI. This year, Choice Hotels is the only lodging company to earn this distinction. "This designation as a "Best Places to Work for People with Disabilities" builds upon previous accolades Choice Hotels has received for its exceptional corporate culture and reflects our ongoing commitment to ensuring all our associates feel welcome, wanted, and respected," said Patrick Cimerola, chief human resources officer, Choice Hotels. "Our employee resource group ENABLE has been especially helpful in achieving this recognition by evolving policies and practices that align with our mission to create an inclusive work environment." Choice Hotels supports nine different employee resource groups designed to facilitate engagement among associates and help shape the company's culture and business objectives, including ENABLE, an organization created to increase awareness, access and advocacy for people with disabilities at Choice. Want to get notified whenever we write about Choice Hotels International, Inc. ? Next time we write about Choice Hotels International, Inc., we'll email you a link to the story. You may edit your settings or unsubscribe at any time.